My last post generated some questions, as I had mentioned that my client ordered an eco-friendly casket from another provider. It seems that people are surprised to hear this is a possibility. It is, in fact, a right that is protected under the Funeral Rule. This rule states that you may order your casket from wherever you want. Not only that, you cannot be charged a handling fee by the funeral home or undertaker for having done so. This means that if you want an eco-friendly casket, and they don’t have one, you have a solution. 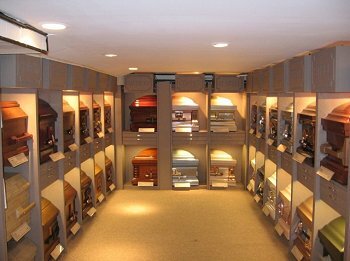 It means that if you find the same casket for less money elsewhere, you can use it. You would perhaps be surprised to hear that even big warehouse stores such as Costco carry caskets. That said, you should understand that if you are indeed opting for a casket through a third party, you are deeply cutting into the funeral home’s profit. Only you can determine how you feel about that. Know that some people have also had to deal with an irritated undertaker once their choice is made known – not that you should be intimidated by that, and by all means, the majority of providers behave well. I just want to put it out there, so you understand this. Remember, talking with loved ones of these things before a time of need is the best way to protect yourselves, and ensure you are making the best decisions possible. Making these decisions can be stressful under the best of circumstances, and even more so when we are deep within the early stages of grief. This entry was posted in blog, buy a casket, death, death conversation, death doula, funeral planning, grief, mourning doula, pre-planning, protect yourself, when a loved one dies. Bookmark the permalink.